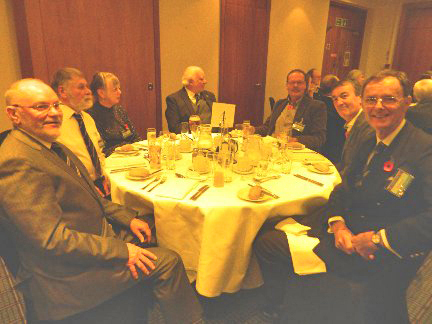 In early November we held our 4th mid term reunion at the Holiday Inn Hotel in Chatham. This followed pretty much the usual pattern in that the vast majority of us gathered on the Friday afternoon for some pre dinner (actually late afternoon) drinks at the bar followed by a buffet evening meal at the hotel. Everything went well and the quality of the food was good. On the Saturday morning we all left for a full day visit to the Royal Dockyard in Chatham itself. Just under 50 of us entered the Dockyard at a favourably negotiated large group and seniors rate. The Dockyard itself is very large and we split up and went our ways with the proviso that we were to meet again for a tour of the Ropery at 13.30 or 14.30 – split into two because of the size of the group. This tour was fascinating and members participated in actually making rope. The Dockyard contains historic warships from the 1700’s through to its closure in the late 20th century. There is an excellent RNLI lifeboat exhibition through the ages and numerous other large scale exhibitions of nautical interest. 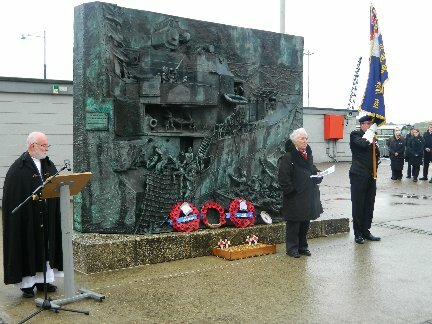 The visit coincided with Remembrance weekend and several members attended the service conducted alongside HMS Cavalier at 11.00 hours. We all returned to the hotel after a good but quite tiring – the Dockyard is huge – day out. We all gathered for pre dinner drinks and the more formal Saturday night dinner. 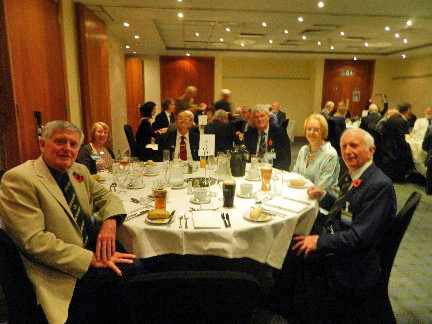 I am pleased to say that 56 of us sat down to dinner continuing the popularity of these events. We were delighted to welcome four guests from The Netherlands who were all former employees of Radio Holland. 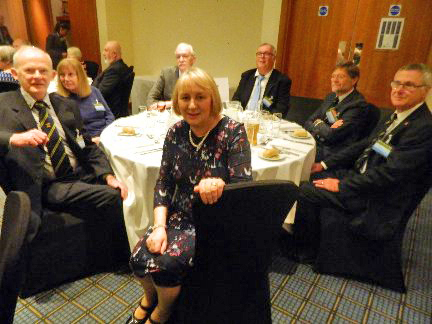 Lourens Visser had attended the last mid term reunion in Milton Keynes and had enjoyed it so much he returned with three former colleagues. A selection of photos from the weekend are shown below. 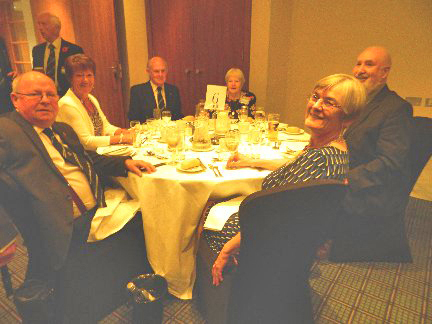 left to right: Richard Williams, Pat Holness, Larry Sylvestre, Mary Chalmers, John Weedon, Sue Williams. John Stafford standing. 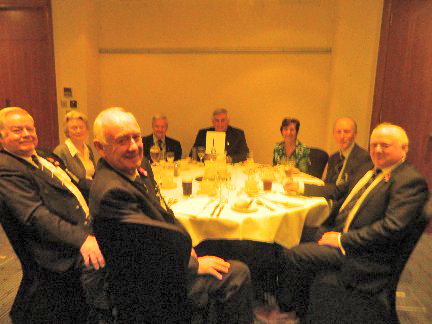 left to right: Mike McDonald, Lynda Morris, Tony Fell, Ian Channing, Joy Channing, John Stafford.